Dr. Tony J-F Lee, PhD passed away peacefully on February 15th, 2018 in Hualien, Taiwan. He is survived by his wife, his daughter Cheryl Lee, and his son Johnathan Lee. From 1963-1967, Tony attended Taipei Medical College from which he earned his B.S. in Pharmacy. Under the mentorship of David Westfall, he earned his PhD in Pharmacology in 1973 from the West Virginia University School of Medicine, and then trained as a postdoctoral fellow from 1973 – 1975 with John A. Bevan at UCLA. Tony then joined the Pharmacology faculty at Southern Illinois University (SIU) School of Medicine in Springfield, IL, where he attained the rank of Professor in 1987. 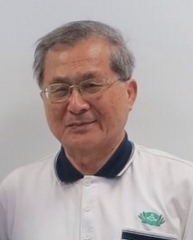 Tony retired and took an Emeritus appointment from Southern Illinois University in 2002, after which he became Professor and Dean at the College of Life Sciences, Tzu Chi University, in his boyhood hometown of Hualien, Taiwan. Tony retired from academic life in 2013. Tony Lee was a dedicated academician, who thoroughly enjoyed working with his students, teaching, and serving his university. Throughout his career, he trained a total of 43 graduate students and 24 postdoctoral fellows, all of whom went on to establish prominent and successful careers in academia and industry. Tony had an obvious love and enthusiasm for science and was passionate about the process of discovery. He remarked on numerous occasions that he felt truly lucky to get paid to do what he deeply enjoyed. This sincere affection for professional science led to more than 150 publications and multiple honors including his appointment as the North American Editor of the Japanese Journal of Pharmacology, years of service to NIH as a study section member, and election as a Distinguished Research Fellow by the Buddhist Tzu Chi General Hospital. Tony Lee’s research interests focused on vascular pharmacology, with emphasis on the influences exerted upon cerebral arteries by the release of novel vasodilatory and vasoconstrictor molecules from perivascular nerves. This avenue of research contributed much to the basic understanding of how cerebral vessels function under both physiological and pathophysiological conditions, such as those caused by ischemia and Alzheimer’s Disease. Tony Lee’s work led to numerous high-profile publications in prestigious journals including Science, PNAS, and Circulation. Tony also helped organize a meeting focused on neurogenic mechanisms of cerebrovascular control, held in Williamsburg, VA in 1997, which served as a satellite meeting for the biannual meeting of the International Society for Cerebral Blood Flow and Metabolism. Four years later, Tony organized the main meeting of the International Society for Cerebral Blood Flow and Metabolism in Taipei, Taiwan. By all accounts, this was one of the most successful meetings of the society. Outside of science, Tony Lee had many interests including judo and tennis. At one time, Tony was a restaurant owner, which required him to be highly efficient as he worked on papers and grants while simultaneously managing the restaurant. Tony was also dedicated to his family and friends and was always a true gentleman. In addition to his acumen as a scientist, Tony was a kind man, generous of spirit, and a true teacher of not only science, but also of life. We are fortunate for his many meaningful contributions and will deeply miss our dear friend and colleague, but are uplifted by the knowledge that his lessons and influence live on in the many whose lives he touched.